Some of the greatest inventions that have ultimately enhanced our lifestyle have not only become a necessity but also have had a positive effect on the economy. These inventions have immeasurably affected and improved the quality of our lives. We live in a world that takes for granted how far we have come in the last 100 + years. History records the timeline of events that has given us the privilege of the comfortable lifestyle we now have today. Technology and the world of invention is progressing so quickly that we are on auto pilot taking for granted where all of this came from. Let us remind ourselves of some of the foundations of what lead us to the comforts of home today. Early smart homes or home automation began a long time ago. It really all began when human beings figured out how to make their life easier and invented things that made it simpler, more effective, less exertive and less time to accomplish tasks. Home automation truly began with machines that replaced human labor in the home that made peoples lifestyles easier and allowed them more time for their family, other things, relaxing or simply enjoying life. 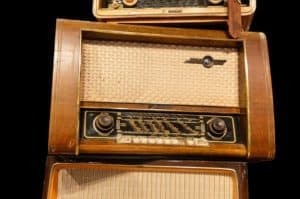 Let’s go back a bit in time and remind ourselves of some of the inventions that have allowed us to appreciate today’s devices that continue to define a “smart home”. 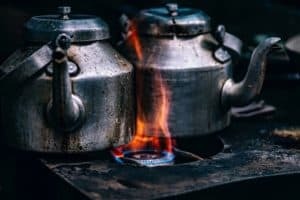 The first record of an actual stove was in France in 1490. However, the first stoves that were really utilized in quantity were cast iron stoves in Germany around 1728. Good old Ben Franklin invented the famous “Franklin Stove” in the 1700’s and Jordan Mott the coal stove in 1833. However, James sharp invented the popular gas stove in 1826. He was a British inventor and his gas stove was the first of its kind to be successful in the marketplace. It was in 1896 that William Hadaway was given the first patent for the electric stove. How far we have come since that patent in 1896? General Electric’s self-cleaning oven was introduced in 1967 which was a turning point for the world that would later see microprocessors incorporates into all our home appliances. Today’s more current “smart” stove device like the “Inirv React” makes your home safer as well as smarter. With a simple app this device lets you control your stove from a smartphone. Never worry about leaving your stove on. Remote monitoring from your smartphone allows you to detect smoke, natural gas, motion in the room and even burner temperature. Its sensors know when someone is in the kitchen or not and can turn your stove off when necessary. This brings us to the invention of electricity. Most people would say the inventor of electricity was Benjamin franklin when in 1752 he experimented with conductive rods and a Leyden jar which was an early form of capacitor. However, electricity being a form of energy that is present in nature is not something one can invent. 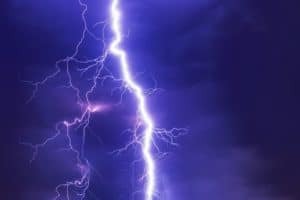 Electricity is a discovery that goes back thousands of years throughout all civilizations acknowledgements of it in nature and it’s reacting to man’s early experiments and curiosities as to how to utilize this great force in nature. It was the invention of generating electric current that was instrumental in enhancing our lives and progressing us forward to a surge of new inventions not only the home but commercially as well. The first filament lamp made an enormous impact on our lives and in our homes. Many great, curious, resourceful and adept people discovered or should we say developed electricity and it’s uses. When we think of our lives and homes today and the future of smart homes let’s remember the great minds that lead us to this point and look forward to what is to come. Somewhere around 1831 a bell that could ring from a distance through use of an electrical wire was invented by Joseph Henry. This was the beginning of the first doorbell and by the early 1900s doorbells were mainstream. Today’s smart home doorbells like “Ring” not only alerts you when someone is at your door but you can also view them from your smart phone or tablet from anywhere as well. The “Ring” video doorbell is a smart home device that’s very popular today. This smart doorbell not only alerts one to someone at the door but also lets you see, hear and speak to that person from your smart phone, pc or tablet. How essential was the refrigerator? Jacob Perkins invented the vapor-compression refrigerator in 1834. It wasn’t until 1913 that refrigerators for homes were finally invented. Today’s smart homes not only keep food cool but are cool! Technology has combined refrigeration with food management in your refrigerator controlled by a Wi-Fi touch screen. Speaking of touch screen, it’s hard to believe that the first digital computer was invented in 1834 but it is true. Charles Babbage designed it and it was called the “Analytical Engine”. It actualized every primary fundamental of the modern digital computer. 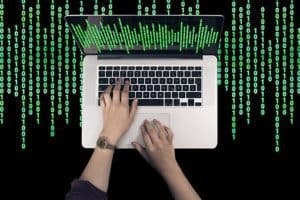 The computer is considered one of the most important innovations in the modern world. 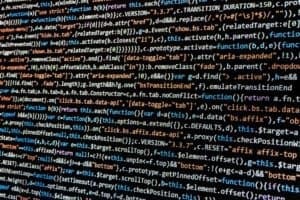 In relation to our home lives the invention of the computer has relieved us of doing things manually. Hence, todays smart home has relieved us from doing a lot of things manually at home and while we are away from our home. We can accomplish many tasks like controlling our home security, efficiency of temperature range, lighting, door locks and so much more. The impact of the invention of the telephone as an instrumental part of communication has lead us to the creation of tremendous employment, wealth, security and has made the world smaller and more available socially and in business to all. The telephone was invented by more than one person. However, historians give credit to Alexander Graham Bell as the inventor in 1876. It brought social change not only in the way people now interacted with each other via their voice rather than in person or written the written word in business but also changed how we socialized personally. Society and social introductions had a whole new meaning. The telephone opened up the ability to connect with more people and relatives. Families now had a way to commune with long distance relatives and family members on a frequent basis. The ability to speak to someone at any moment rather than wait for a letter or telegram was an efficient way to network and get answers. It changed the way we listen and allowed us to become more spontaneous in our thoughts and words. 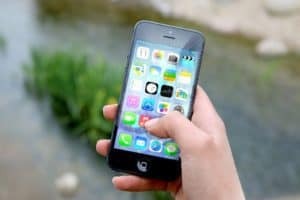 In today’s smart world of devices cell phone are not only connecting us to the world but also remotely connecting us to devices in our home. It was Dr. Martin Cooper who placed the first cell phone call on April 3, 1973. First generation cell phones like so many inventions were about to change the world once again. Dr. Cooper was granted the patent on October 17, 1973 and the first available commercial cell phone was released in 1983. One could talk on the cell phone for about a half before one would have to charge it. The smart home user of today utilizes their smart phone as a remote control to turn the light on or off, close the blinds, lower the air conditioning, watch live who is at their door or what the dog is doing, set their coffee maker, turn the music on or off, put on the washing machine and many other things. Today’s cell phones have opened many more ways to communicate. We can communicate from anywhere, anytime and not only speak to but see live who we are communicating with in that very moment. It has opened the world up like we never had dreamed of. Whether it be speaking with loved ones, news, recording events as they happen, alerting us to emergencies, utilizing all kinds of apps, taking photos, sharing information and many, many other applications. It is my opinion that the smartest device today is the smart phone. It is about to change our lives even more in the very near future! Continuing further in a timeline of relevant inventions, the first electric water heater was invented in 1889 by Edwin Rudd. Imagine what a relief was not to have to heat water over a fire or stove to take a bath or shower. 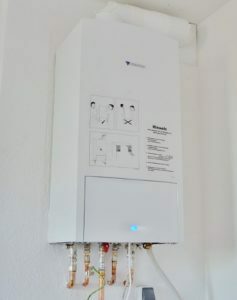 Even more efficient, in 1987 Stiebel Eltron introduced us to the first fully electronic instantaneous water heater a prelude to the modern tank less water heater. 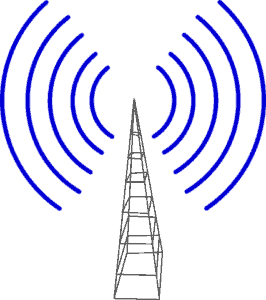 It was in 1893 that the first wireless communication was invented by Nikola Tesla. J.P. Morgan backed Tesla with $150,000 to build a tower that could transmit data using the constant frequencies and energy of this universe. He understood that this could be used to freely connect people everywhere and be able to receive and transmit data. Also in 1893 was the invention of the toaster. Alan MacMasters from Scotland gets credit for this device and later in 1909 it was reinvented by Fran Shailor. In 1919 Charles Strite’s invented the first automatic pop-up toaster. 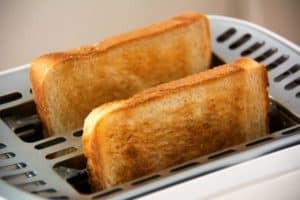 Today you can purchase a smart toaster that has a “smart” chip in it that allows you to lower the bread into the toaster and regulate the toasting time. There is also a smart toaster called the “Toasteroid” that can put a name, a message or even the days weather forecast on your piece of toast. The “Selfie” toaster from Vermont Novelty Toaster Corporation gives you the ability to burn the image of your face onto a slice of toast. Nikola Tesla, the inventor of wireless communications also invented the remote control in 1898. This controller was used to control many different contraptions. 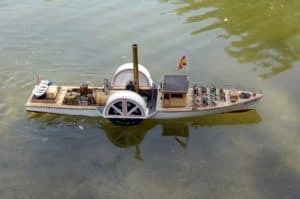 It was first demonstrated by Tesla as he sent signals through radio waves that shifted electrical contacts previously placed on a miniature boat. This allowed Tesla to control the motion of the boat through the ability to remotely control the rudder and propeller. The first remote control for television use was developed by Zenith in 1950. It was connected to your TV by a wire. 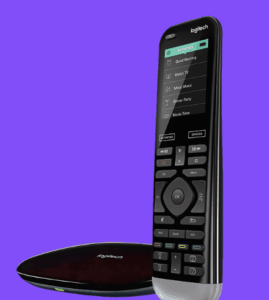 At TechnoLiving we highly recommend using a Logitech Harmony Pro universal remote to control all your smart home devices from one place. No more confusion with having to use multiple remotes and apps to control your smart home. Nothing more frustrating than pressing the wrong button on the wrong remote and not being able to go back and correct the mistake. Better yet you have company over or perhaps a young child in the house and they start playing with all the remotes and mess up your entire set up! TechnoLiving will install this system for your devices and train you how to simply use it. Remotes have come a long way at making your life easier since 1898. In 1901 Hubert Cecil Booth invented and patented a motorized vacuum cleaner. The first practical vacuum cleaner for the home came on the market in 1907 and was developed by James Spangler, a janitor from Ohio. Housewives were delighted but so to be consumers in 1990 when three roboticists from MIT founded iRobot and Roomba a robot that vacuums your house for you. Time magazine claimed it to be one of the best inventions in 2002. It was in 1892 that George T. Sampson patented the first mechanical clothes dryer. 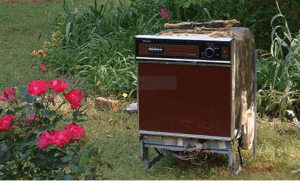 In 1938 J. Ross Moore’s invention of an electric operated clothes dryer was made available to the public. Today’s smart home can include a “smart” washing machine that through utilization of an app from your smart phone or tablet will text or email you when your clothes are ready to dry. Once you receive this notification you can alert someone at home to put those cloths in the dryer. 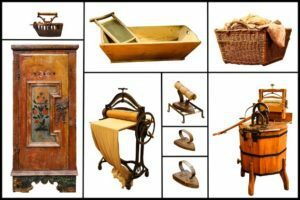 The first electric powered washing machine was invented in 1908 by Alva J. Fisher. Today’s smart home washer and dryer is hands off and is controlled from and app on your smart phone. When your wash cycle is finished your drying cycle starts and holds detergent to do 14 loads of wash before amazon dash integration will order more detergent for you. The Walker brothers invented the first electric dishwasher for domestic use in 1913. But it wasn’t until 1950 that it was sold to the public for home use. Todays “smart” dishwashers as a smart appliance can alert you through an app on your smart device to things that may prevent a perfect wash, monitoring cycle time, lock or unlock controls and even tell you when your detergent is low. In 1927 the first garbage disposal was invented by John W. Hammes who wanted to make his wife’s life easier in the kitchen. The “InSinkErator” was granted a patent in 1935. With great expectation,1929 was the year that Frigidaire introduced the world to what later developed in to air conditioning for the home. There had been previous inventions earlier in time but for commercial use. Frigidaire’s was a “split-system room cooler” and was very expensive for homeowners. It was General Electric that improved Frigidaire’s design and produced many prototypes in 1930 to 1931. 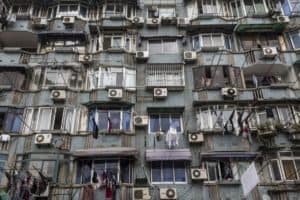 It wasn’t until the late 1960’s that new homes were being built with central air and window air conditioners became affordable and popular to consumers. Today’s “Smart Homes” are more energy efficient with devices like “Nest” that lets you see how much energy you use to cool and heat your home. Not only while you are in house but also the “Nest” app lets you see how much energy you are using while you are away. Just download the “Nest” app to your smart phone or tablet. 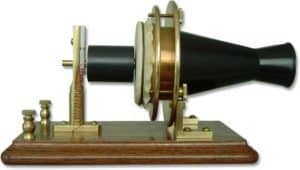 From the 1860’s on there is a lot of history, experimentation, demonstrating and inventions which lead to the radio. However, Nikola Tesla is credited with the first patent of the invention of radio technology. Guglielmo Marconi took out a patent much earlier in history however The Supreme Court overturned the Italian inventor Marconi’s patent in 1943 in favor of Tesla. The microwave is a device that heats and cook’s food by exposing it to electromagnetic radiation is a common kitchen appliance today. 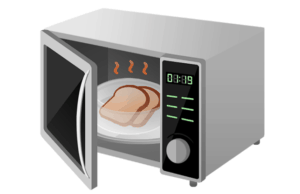 It is Percy Spencer who invented the modern microwave in 1946 and called it the “Radarange”. It was in 1955 that Raytheon licensed its patents and Tappan introduced it for use in the home as a microwave oven. 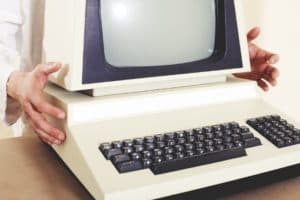 The development and increasing advancement of electronic computers in the 1950’s is where the recorded history of the use of the internet began. In the 1960’s the US Department of Defense granted contracts for packet network systems. In the early 1980’s the National Science Foundation funded the institution for national supercomputing centers at many universities including in the US. It was in 1995 that the last restrictions on the use of the internet were removed and the internet was available for commercial use. The internet was not created or invented by one individual. However, in 1989 while working at CERN, the European Organization for Nuclear Research, Tim Berner Lee, a graduate of Oxford University, created the internet that we know today as the World Wide Web. He has now dedicated his life to enhancing and safeguarding the web’s future and seeks to ensure that the web serves humanity well. As a scientist and academic he has received many accolades and honors. Tim Berner Lee has transformed the world and perhaps most facets of our lives. Over 3.7 billion people use the internet today. There are over 1.2 billion websites and over 142 billion emails sent on the day I wrote this blog. Controlled devices and digitally connected devices in a home that one can control remotely are no longer the future. They have been here and are here to stay. Our home appliances as well as other amenities are manufactured with or easily adapted to perform remote functions by use of sensors that receive and respond to signals. Worldwide 80 million devices were delivered to individuals in 2016 over 15 million of that is in U.S. households. This does not include commercial delivery to vendors and installers. Statistics, according to the NPD, tell us that as of March of 2016, 49 million U.S. homes have at least one TV connected to the internet. There are no final statistics yet in 2017. However, it has been said that 2017 is the year that the “smart” home will become a principle factor in the industry of IoT, internet of things. 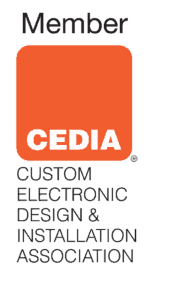 The global home automation systems market was valued at 39.93 billion in 2016 and is expected to grow 11.3% in the next 5 years. By connecting your smart home devices, TechnoLiving, can give you a simple, user friendly experience that will enhance your lifestyle. It may be as simple as a TV installation, surround sound for that TV, sound system for music, a home theater, an outdoor TV or outdoor sound system, security cameras, computer installation, a “Nest” or “Ring” installation or something more, TechnoLiving is top notch! Our office is in West Palm Beach and we service all areas of Palm Beach County as well as other counties in South Florida. It is important that you use a licensed and insured as well as professional installer and service company like TechnoLiving! Hire qualified people for your tasks. We are ready to help with all your technology needs. What About a Home Theater? Do You Have a Second Home? Company Names, brand names, trademarks and logos are property of their respective owners.